Harry emigrated from Orange County, Indiana, in 1884. This entry was posted in Orange County and tagged Warren, Wells, Worrell on September 21, 2014 by oahblog. 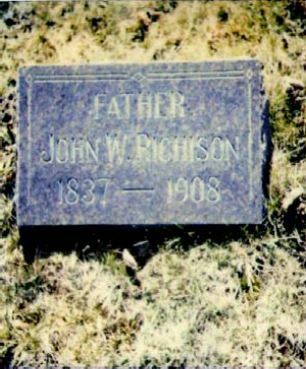 John did not move to Indiana until sometime between 1870 and 1880. His mother had died in 1865 and by 1870 his father was living with John Webster. He relocated to Jay County first and taught school there for awhile. Later he moved his family to Delaware County, north of Muncie, where he spent his remaining years. This entry was posted in Delaware County and tagged Ayars, Beard, Cory, Davis, Green, Miles, Priest, Richison, Schwyhart, Secrest, Wells on July 14, 2014 by oahblog. Hezekiah arrived in Indiana from Virginia with his parent about 1817. 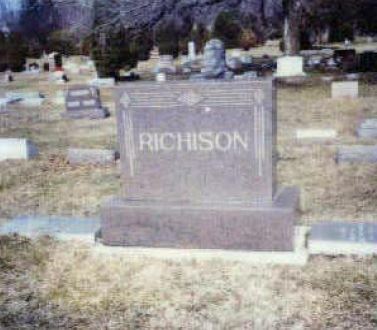 He lived and married in Harrison County, Indiana, leaving there for Iowa between 1835 and 1837. At least five of his seven children were born in Indiana. He was a Justice of the Peace, minister for the United Brethren Church, a farmer, and a tailor of clothing for doctors. He made beautiful button holes and created many quilts from fabric scraps until about four years before his death in 1886. He was a smoke and once accidently burned down his own home. This entry was posted in Harrison County and tagged Blosser, Culver, Denham, Dennis, Gormley, Jeffries, Littell, Little, Orman, Sheriff, Silley, Smith, Warn, Wells on July 8, 2014 by oahblog. Amos, the youngest son of Isaac and Anne (Riley) Windsor of Yadkin County, North Carolina, lived a few years in Virginia after marrying Mary McDaniel. 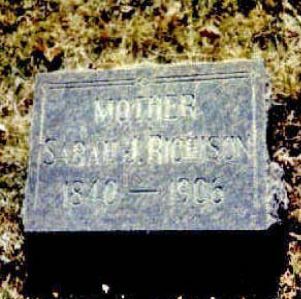 Before 1840, Isaac moved his family, including his two oldest children, Amos and Mary, to Rush County, Indiana, where his family increased to at least six children. In late 1848, Amos purchased 80 acres in Lafayette Township of Allen County, Indiana, and was living there with Aquilla, William R., Frances, Elizabeth A., and Mary M. at the time of the 1850 census. Sometime between 1860 and 1870, Amos and his second wife moved to Benton Harbor, Berrien County, Michigan. Amos, a farmer, died there of typhoid fever, at the age of 72. This entry was posted in Allen County, Rush County and tagged Bell, Bitner, McDaniel, Riley, Senner, Sonner, Wells, Windsor on July 6, 2014 by oahblog.